Author: Harry E. Figgie, Jr. 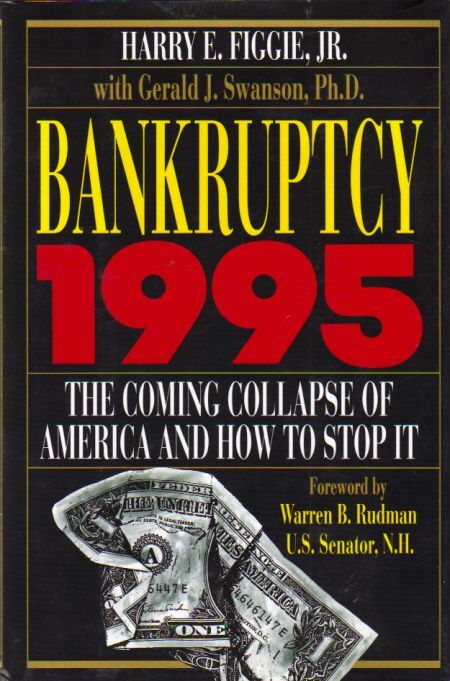 Description: Predicting complete national bankruptcy by the year 1995, a noted budget analyst presents the current disastrous fiscal situation of the United States and outlines a specific program for recovery. 1992 hardcover. Not a remainder (no marks). Clean and unmarked insides. Tight sound binding.